The Tuttle's Rustic House has been changed into a laser shooting gallery. 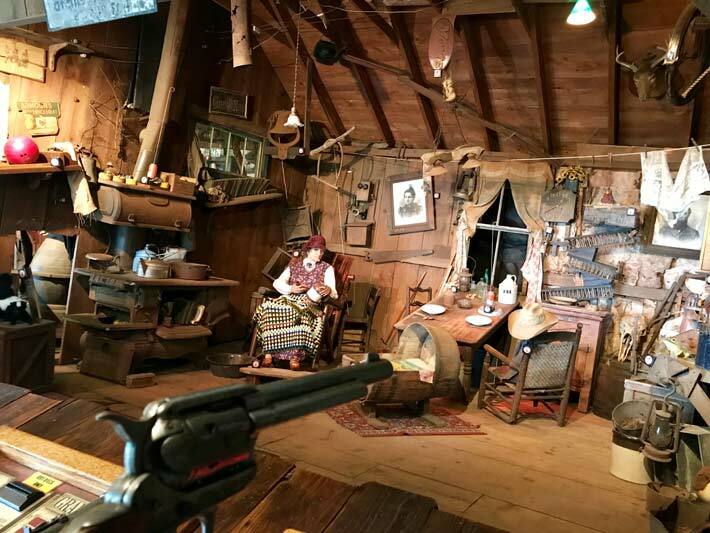 This interactive attraction maintains the rustic charm of the Tuttle family as guests test their TRIGGERnometry skills shooting at 60 targets. This pay to play shooting gallery is an exciting remodel to the Tuttle House, which will no longer offer guided tours. You can reminisce as your favorite tricks and inventions still work by hitting targets! Pool balls roll uphill, the train whistle blows and your senses are still thrown off by the crazy angles in the Tuttle House. 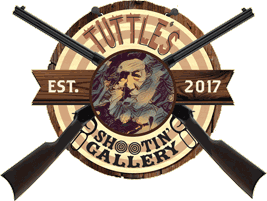 We aim to please at Tuttle's Shootin' Gallery!